Grundy Electric has long provided members with dusk-to-dawn outdoor lighting solutions. 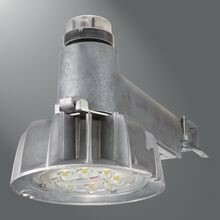 Today, Grundy Electric uses a new environmental-friendly LED fixture like the one pictured. This light may be placed on an existing utility pole (meter or transformer) on the member’s property. These lights are connected directly to Grundy's electric system and do not pass through the home’s electric meter or wiring. Member's pay a set monthly fee for their private area light. Please contact a Grundy Electric Representative at 1-800-279-2249 to find out more about residential outdoor lighting, including current pricing.